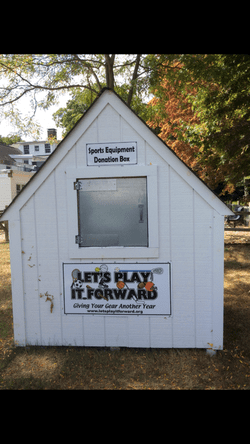 ​​If you would like to partner with us for a community service project please email us at letsplayitforward@aol.com. We would be happy to provide you with flyers and necessary information to help spread the word about your event. If a donor during your special event inquires about a possible monetary donation in lieu of gear please forward this link to make it as easy as possible for them to support our cause. Footballs, kick balls, soccer balls, all baseball and soccer equipment, Softball equipment, lacrosse equipment, pinneys, orange-cones and discs, volleyballs, roller blades, basketballs, golf bags, full sets of irons, woods, individual irons, wedges, putters, golf balls, hockey equipment, shin guards, tennis equipment, ski goggles and ski gloves ,uniforms in sets of 12 or more and gently used sneakers. Football gear, Golf shoes, Wrestling gear, Swimming gear, Apparel, Skateboards, Skis & ski boots, bowling balls, karate and swim gear & bike helmets. Thank you to Anthony from Rockland! 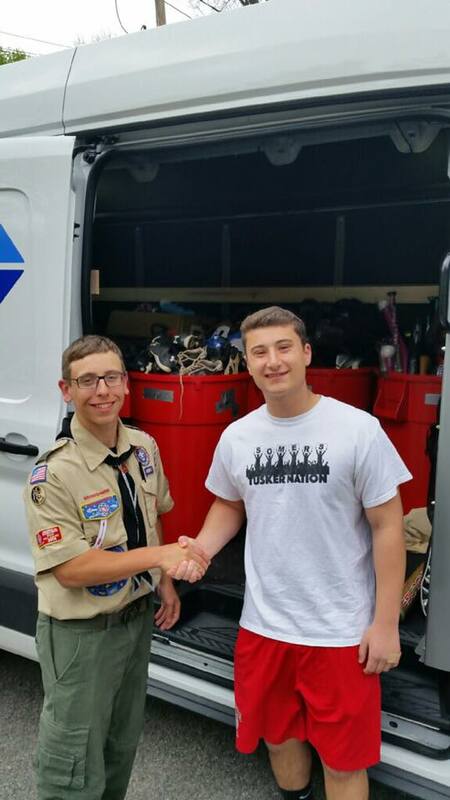 He worked on his Eagle Scout Project and partnered with us. We are honored!! Thanks to the Stony Point Little League for your support of us! 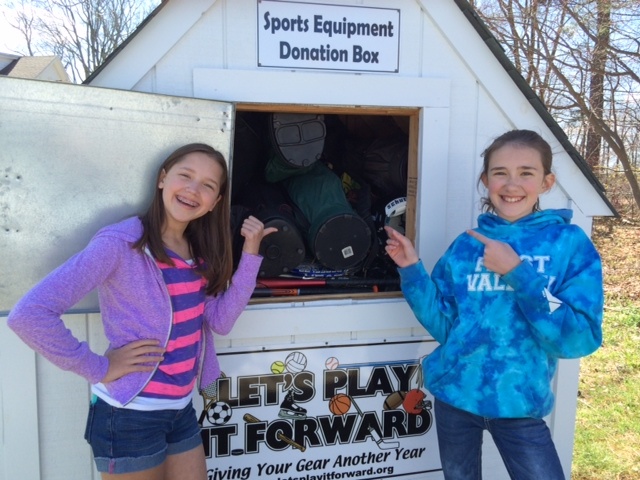 Thank you Ava from NJ for choosing us as the recipient of your Community Service Project!! We will find a new home for every piece!!! 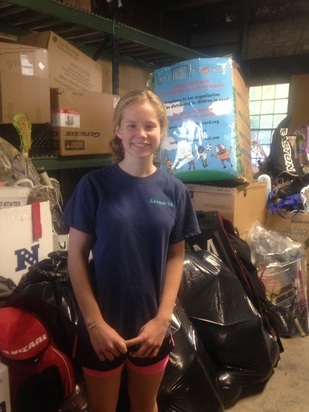 Thank you Rebecca from Chappaqua for partnering with LPIF for your Bat Mitzvah project! We are honored!! 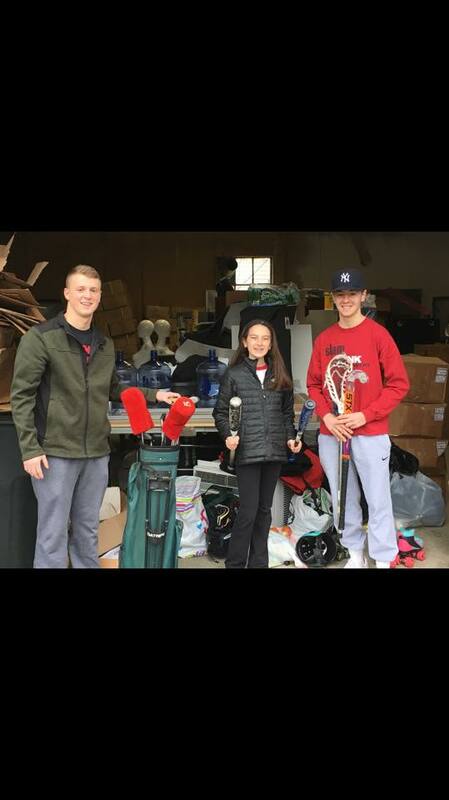 A Very Special Thank you to Jordan Wolin for choosing LPIF as his service project for his Bar Mitzvah. 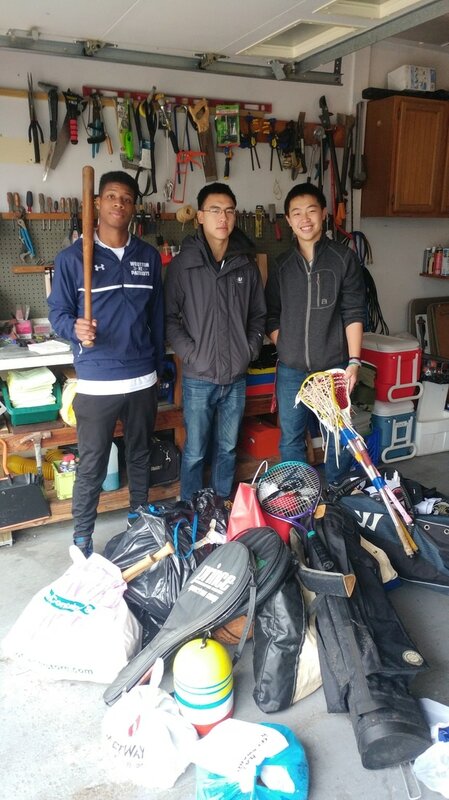 Jordan collected gear and monetary donations to help support our mission. We would also like to extend our thanks to Kelly Young and the donors from Kelly's Outdoor Fitness Bootcamp for the very generous donations. 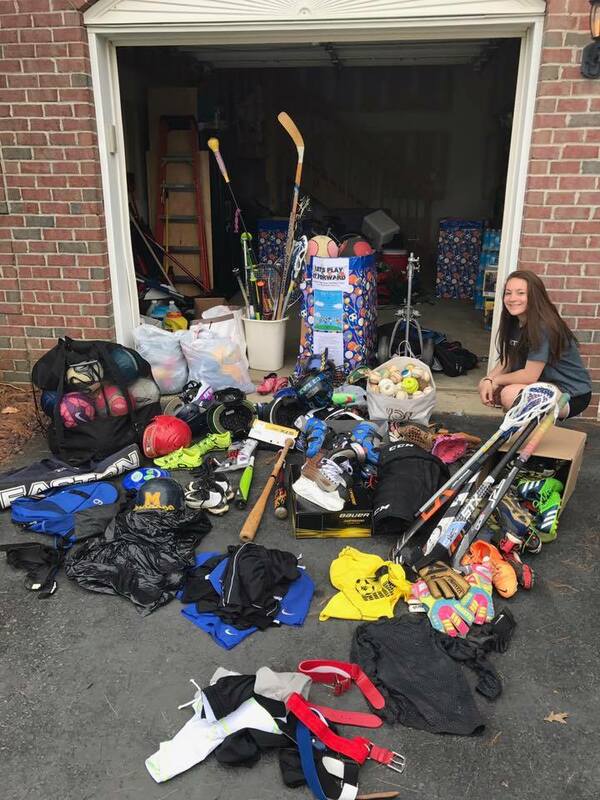 During 2 boot camp classes, Jordon collected the equipment and monetary donations. We are truly grateful to you for all your hard work on our behalf. All of the gear will find a brand new home and the monetary donations will help defer our shipping costs!!! 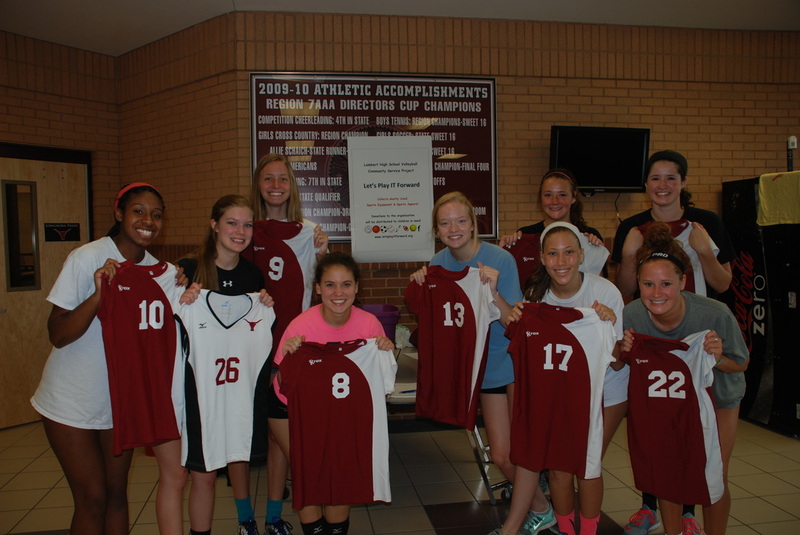 We would like to give a BIG shout out to Lambert High School Volleyball Team and Booster Club in Sawanee ,Georgia for their amazing support of us. Thank you for all of the uniforms! They will make many children very very happy!!! 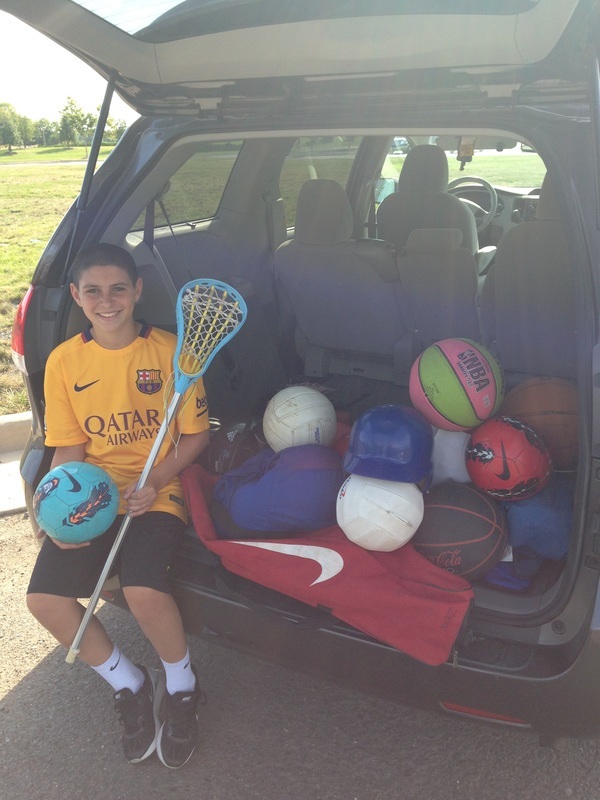 We are honored to have been chosen by Ethan Krueger to be the recipient of the sports equipment he collected for his Bar Mitzvah. His hard work and dedication to our cause is truly appreciated. We would also like to thank all the donors who made this possible. IRG is making its annual trip by ship to villages and ports and orphanages of The Caribbean countries of Bahamas and the lesser served villages of Haiti, Dominican Republic, Puerto Rico, and Cuba. 12 wiffle ball bats and 12 frisbees great use in grateful hands. ​Special Thanks to All our donors for making this possible!!! 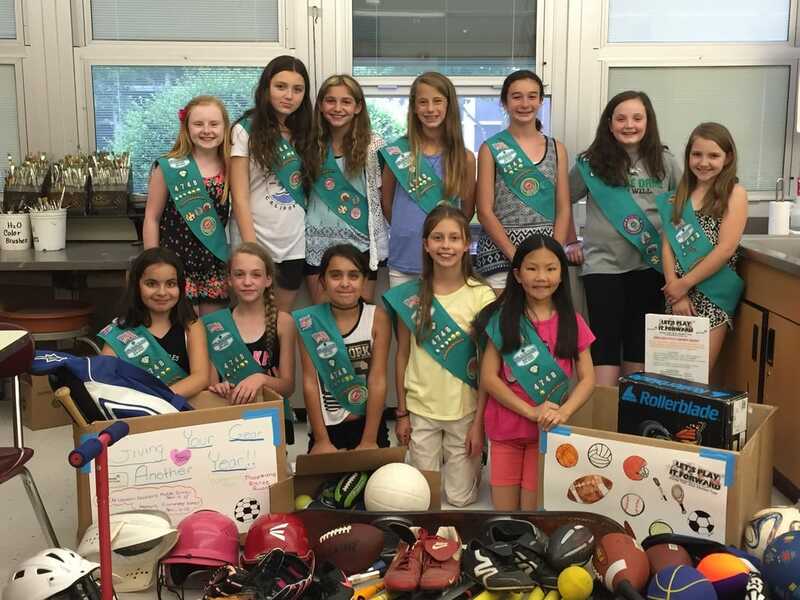 Thank you to Montvale Girl Scout Troop 4748 for collecting on behalf of LPIF to earn their Bronze Award.